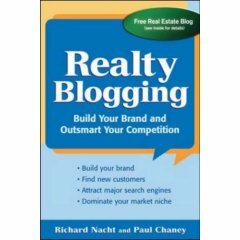 Are you blogging for your real estate business? Realty Blogging shows you how to fully utilize this powerful, direct-communication marketing tool, giving you all the know-how you need to capture the interest and business of local homeowners, buyers, and sellers. Plus, you receive a FREE blogging platform and instructional sessions to get you blogging right away!